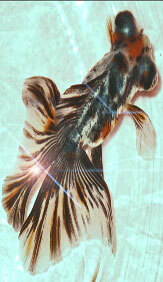 When comes to a word Hikari, our minds will be directed to one best food for goldfish. Hikari is one of the few companies world-wide that make fish food products, Among others fish food for goldfish, koi and tropical fish. Hikari make excellent fish food predominantly to improve their eating habits, desirable tastes and textures, as well as nutrient balancing on their fish food to get each diets just right for the fish that will eat it. 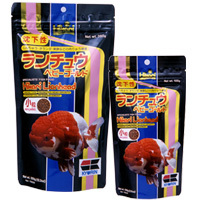 Hikari Lionhead Color Enhancing Diet is a sinking food goldfish pellets conform for all of Lionhead, Oranda and Ranchu goldfish. This is daily diet utilizing bio-technology for superior coloration and outstanding form. Therefore Hikari Lionhead is a proper daily diet for feeding goldfish as color enhancing diet and excellent long term health. Specially formulated ingredients, including a higher level of necessary amino acids promote superior growth and desirable, true lionhead form. Using Hikari Lionhead eliminates the parasite and bacteria problems normally associated with feeding live foods and gives your pet their best chance of a healthy, long life free of infections or disease caused by these pests. Bio-Technology allows us to provide a diet that helps develop coloration not expected in goldfish raised indoors due to lack of natural UV. This technology also helps prevent fading of your pet's colors over time. High in stabilized vitamin C, Hikari Lionhead helps reduce stress and promotes immunity to infectious disease. A sinking pellet that will not dissolve and therefore does not cloud your water. Fancy goldfish, especially Oranda, Lionhead, Azumanishiki and Ranchu.